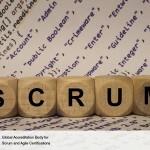 What is Scrum of Scrums and how does it work in the product development process? 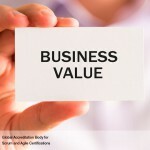 The first thing to know about Scrum of Scrums is that it acquires relevance only for large projects where multiple Scrum Teams are involved. In this process Scrum Team representatives convene for Scrum of Scrums Meetings in predetermined intervals or whenever required to collaborate and track their respective progress, impediments, and dependencies across teams. Normally, one member from each Scrum Team will represent his or her team in the Scrum of Scrums Meeting. In most cases, this is the Scrum Master, but at times someone else may represent the team. A single person may be nominated by the team to represent them in every Scrum of Scrums Meeting, or the representative may change over time, based on who can best fulfill the role depending on current issues and circumstances. Each person involved in the meeting should have the technical understanding to be able to identify instances in which teams could cause each other impediments or delays. Other important participants of Scrum of Scrums meeting include Chief Scrum Master and Chief Product Owner. The main purpose of the Scrum of Scrums Meeting is to communicate progress between multiple teams. The Chief Scrum Master (or any Scrum Master who would facilitate the Scrum of Scrums Meeting), can announce an agenda prior to the meeting. This allows individual teams to consider the agenda items in preparation for the Scrum of Scrums Meeting. Any impediments being faced by a team, which may also affect other teams, should be indicated so they can be conveyed at the Scrum of Scrums Meeting. In addition, if a team becomes aware of a large scale issue, change or risk that may affect other teams that should be communicated at the Scrum of Scrums Meeting. 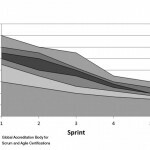 Outputs from the process Retrospect Sprint may have issues that could impact multiple Scrum Teams and could be used as an input for effective Scrum of Scrums Meeting. These meetings are preferably short (but usually not Time-boxed to allow for more sharing of information between teams) where a representative from each Scrum team meets to share status of the respective teams. The Scrum of Scrums Meeting is held at pre-determined intervals or when required by Scrum Teams, and these meetings facilitate the face-to-face sharing of information among different Scrum Teams through the Scrum of Scrums, issues, dependencies, and risks impacting multiple Scrum Teams can be closely monitored, which helps the various teams working on a large project better coordinate and integrate their work. 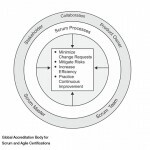 It is the responsibility of the Chief Scrum Master (or another Scrum Master who facilitates the Scrum of Scrum Meetings) to ensure that all representatives have an environment conducive to openly and honestly sharing information, including feedback to other team representatives. For larger projects, involving a significant number of teams, multiple levels of these meetings may be convened. Each Scrum Team representative will provide updates from his/her team in turn. These updates are usually provided in the form of answers to four specific questions. What has my team been working on since the last meeting? What will my team do until the next meeting? What were other teams counting on our team to finish that remains undone? What is our team planning on doing that might affect other teams? The answers to these four questions provide information that allows each team to clearly understand the work status of all other teams. It is recommended that a dedicated conference room be made available for the Scrum of Scrums Meeting, where all the Scrum Team Representatives are comfortable. 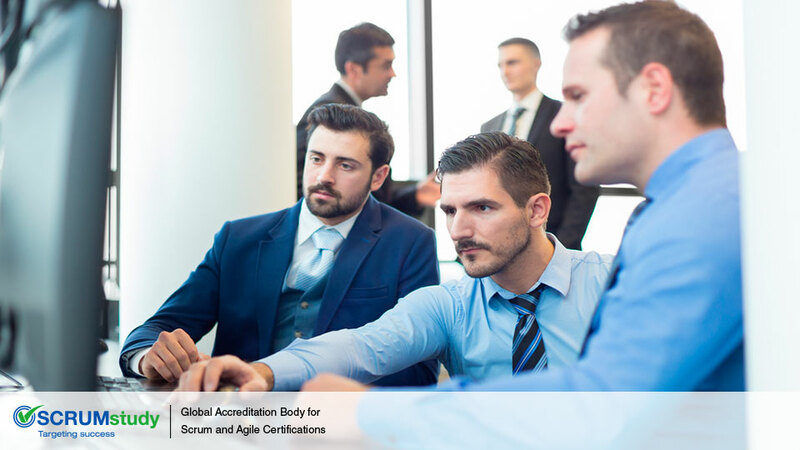 In Convene Scrum of Scrums process, Scrum Guidance Body Expertise could relate to documented best practices about how to conduct Scrum of Scrum Meetings, and incorporate suggestions from such meetings in project work of individual Scrum Teams. There may also be a team of subject matter experts who may help the Chief Scrum Master facilitate the Scrum of Scrum Meeting. 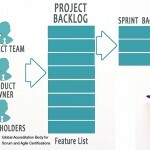 Some of the important outputs of the Scrum of Scrums meetings are: Coordination of work across multiple Scrum Teams. This is especially important when there are tasks involving inter-team dependencies. Incompatibilities and discrepancies between the work and deliverables of different teams are quickly exposed. This forum also gives teams the opportunity to showcase their achievements and give feedback to other teams. By using Scrum of Scrums Meeting, there is collaboration across the organization as opposed to people working in closed teams concerned primarily with their individual responsibilities. The Scrum of Scrums Meeting is a forum where Scrum Team members have the opportunity to transparently discuss issues, impacting their project. The need to deliver every Sprint on time forces the teams to actively confront such issues early instead of postponing seeking resolution. 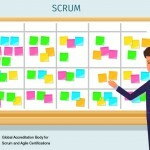 This timely discussion and resolution of issues in the Scrum of Scrums Meeting greatly improve coordination between different Scrum Teams and also reduces the need for redesign and rework. Risks related to dependencies and delivery time tables are mitigated as well.